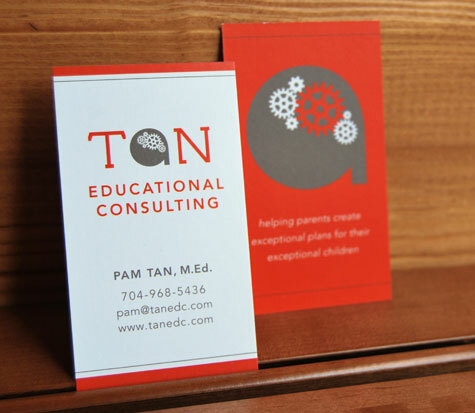 In her new consulting business, Tan Educational Consulting, Pam Tan brings her special education background and parental experiences into service for families staring down the overwhelming task of managing the educational needs of children with ADHD, learning disabilites, autism spectrum disorders, auditory processing disorder, speech & language disorders, and other challenges. 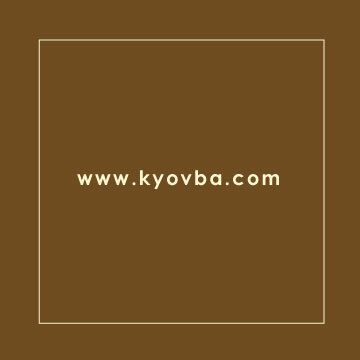 We created a logo and branding messaging, and wrote copy to explain her services as a advisor and advocate. She's now armed with business cards and a rack card brochure to spread the word about her offerings, and we are working on a website. I love being able to put a big stack of gorgeous, new business cards or brochures in the hands of an excited entrepreneurial client whose young business seems to become that much more real and professional that instant. 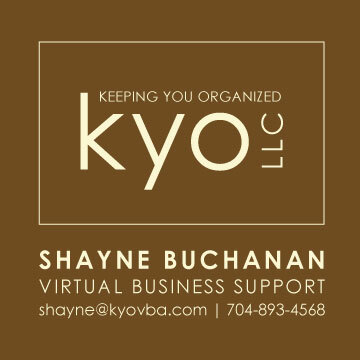 I had that honor last month when I delivered new business cards, brochures and rate cards to Shayne Buchanan of KYO, LLC, whom I recently helped to create a new logo for her virtual business assistant company. I need to take a photo of the finished products, because they turned out beautifully on the linen stock we selected, but for now, here's her business card design. 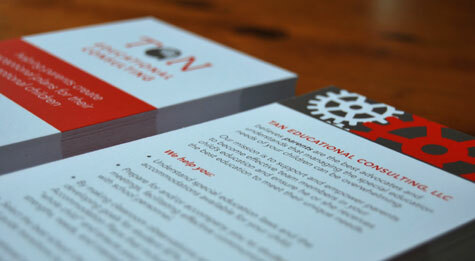 The brochure and rate card mimicked this design with same square format, colors, paper, etc.